I’m Robbin Staack a user experience & product designer based in Berlin. For more than 6 years now, I worked with a variety of clients from boutiques and start-ups to major brands. I’m a big believer in the UX process and have hands-on experience applying UX principles to solve user & business problems and create unique and satisfying user experiences. Currently I am working at allmyhomes, where my role spans strategy & user experience design focusing on customer side Android & iOS apps. I have experience in design thinking and agile and lean processes. My passion lies in problem-solving, in empathy, in thinking like a user, in questioning and challenging. Besides the conventional aspects of design as good form and aesthetic, I’m especially motivated by solutions making life truly easier and better by the approach of less is more. A product with a clear purpose and a design obvious, simple and intuitive to deliver the most efficient interaction to the user. I’m passionate about advocating for the user, but I also understand the importance of meeting business objectives. I’m able to think strategically about solving problems and finding business opportunities and am adept at finding patterns and generating ideas, which helps me quickly find the intersection between user needs and business goals. I’m delighted by topics of sustainability in ecologically and ethical aspects of the impact to nature and society treated by design (but also in general). I’m strongly motivated by the obvious aspects of conventional design – as good form, aesthetic & solutions to make life easier and better. But today – more than ever – that alone is not enough anymore to consider in design. We have to face ethical matters in social and ecologically aspects. Designers shouldn’t just act as idea generators and form modellers to create a better new app or coffee machine. Our work has a huge impact on humans life and in nature. We should build products helping us to find the right book to read instead of holding us back from it. We want to become more focused and productive but create a society hijacked by technology to race their attention with a negative impact on social life, mental health and more. Those impacts have to be faced critical in design processes towards solutions that protects our minds and replenishes society. For me, it means to not just act on these matters within my profession but also in my personal life to constantly question what is truly essential for me and what is the impact. 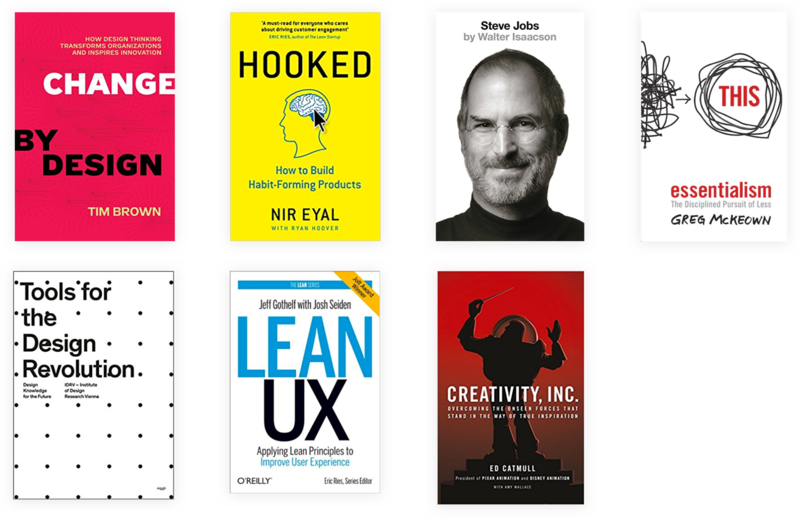 Here I share small selection of books, articles and other content which keeps me motivated, inspires me and pushes me to contribute on my part. Non-profit initiative advocating for awareness of how tech companies profit of users attention. "Rams is a documentary portrait of Dieter Rams, one of the most influential designers alive, and a rumination on consumerism, sustainability, and the future of design." Enough said. An article about the end for mobile apps occurring soon. In my my mind a really tough but good view on how apps are used and if we will really install an app for everything. (German) A documentation about german cities suffering under traffic including a sceptical view on those relatively new sharing solutions as car sharing & ride sharing.